Now, I have to confess to knowing next to nothing about this site and would gratefully appreciate any information from readers that would inform this page. 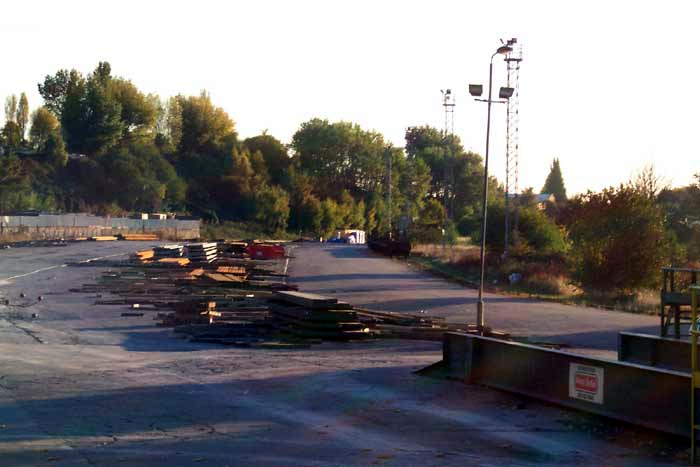 The site was originally Moor Lane Goods station and now is sign posted as the EWS Moor Street Steel Terminal: Moor Lane changing to Moor Street at some point in the past. Above we see the entrance to the now Steel Terminal - I have to say, there didn't seem a trace of steel around and the site looked largely deserted. Above is a closeup inside the site looking towards Brettell Lane station. 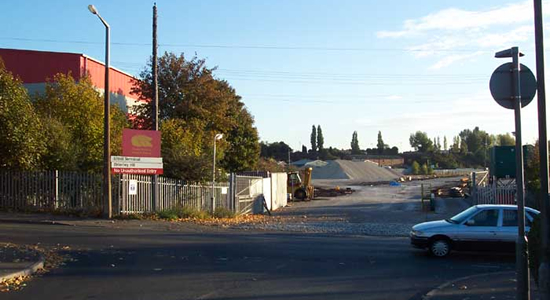 The site itself lies between Brierley Hill and Brettell Lane. I assume that some major down scaling has taken place here over the last 150 years as there only appears to be a siding in view and, if the Brettell Lane page is viewed, a couple of sidings which in the view above are beyond the trees ahead. I unfortunately couldn't get inside the site for a good look around as there was an EWS employee lurking by a portakabin at the entrance who eyed me up suspiciously when I produced my camera as a) he wandered what I was going to photograph as there really isn't much there, or b) he thought i worked for Freightliner! As I said, any information would be gratefully appreciated.